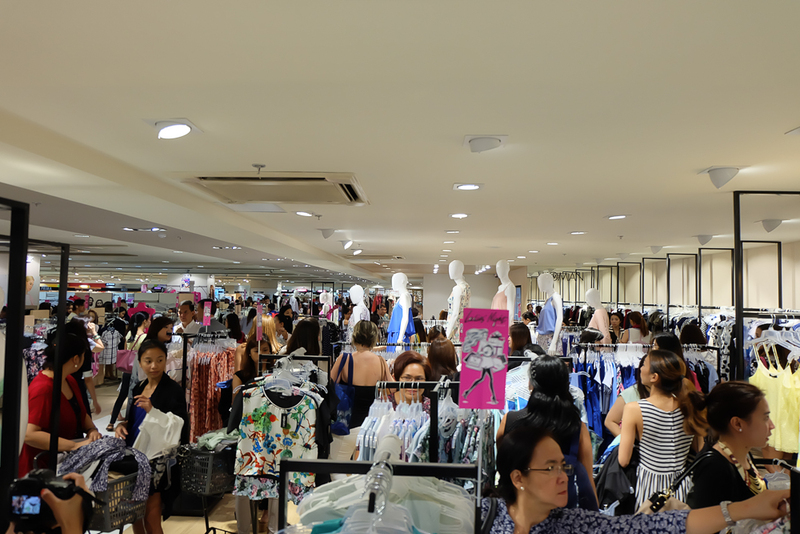 What happens when SM Store holds a three-hour flash sale? 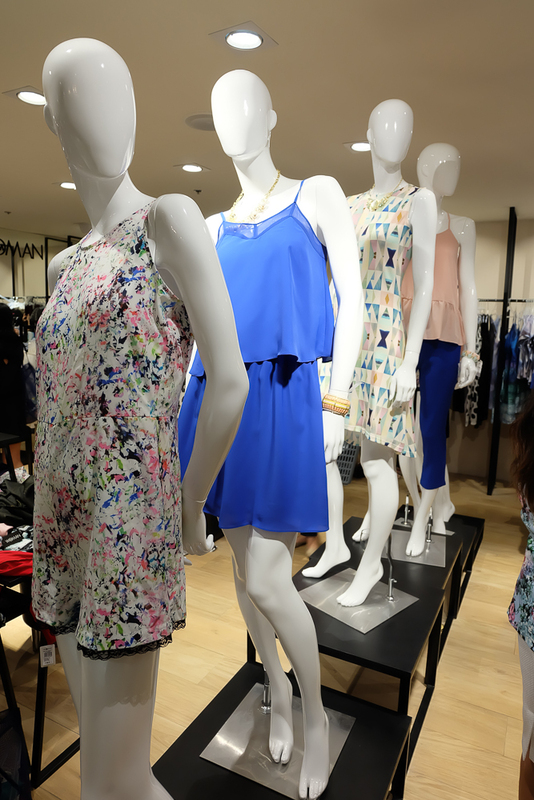 There’s madness, chaos & lots of happy girls with new clothes! 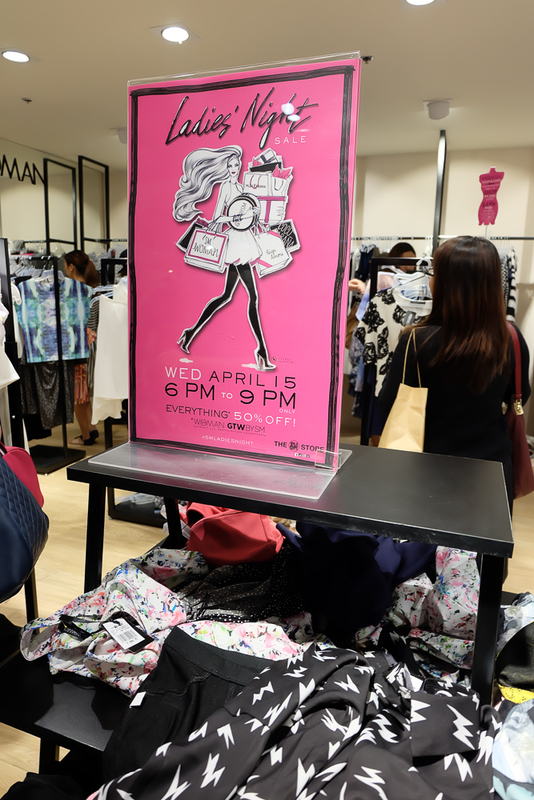 Last Wednesday, SM Woman had their first ever flash sale called Ladies Night where all items from SM Woman & SM GTW (Girls Teens’ Wear) are at 50% OFF. Yeeeeesterday once more! The shoppingeras! Aisa, Arnie, Ava, Ana, Krissy & I.
Here’s a secret for those of you who are looking forward to the next SM Ladies Night-which will happen tonight and two more succeeding Wednesdays. 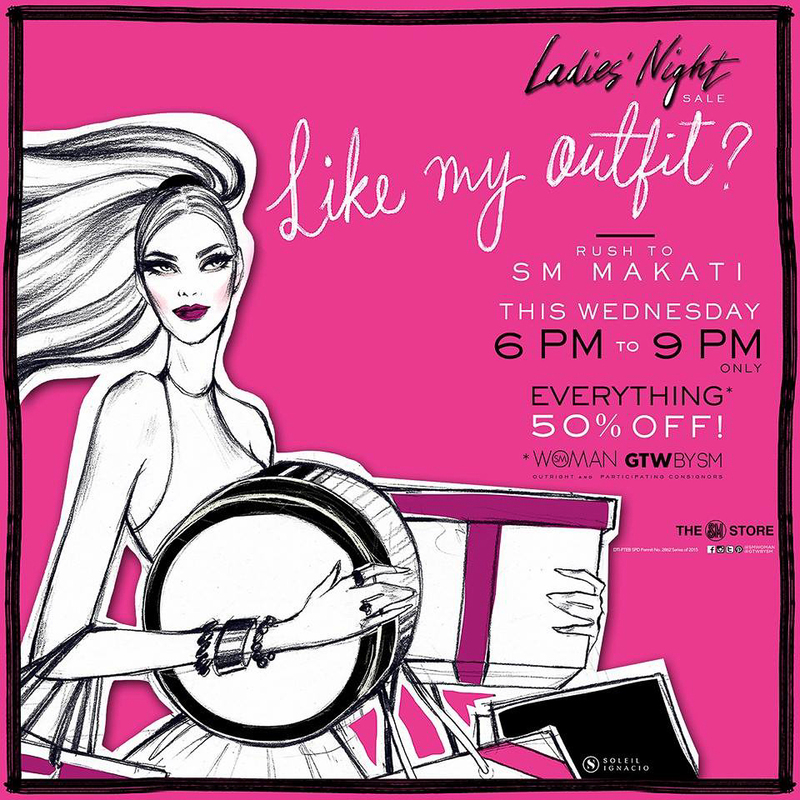 Go to the participating SM Store and choose the clothes you want from SM Woman & GTW (Girls Teens’ Wear) before 6 in the evening. So be there at least 4 or 5 in the afternoon, that way, you won’t have to rub elbows with everyone who want to participate in the flash sale. Go to the fitting room and try them on. Once you’re done, you can proceed to the cashier so you’ll be finished by 6 o’ clock, just in time when others are just starting to choose. Di ba brilliant idea?! Hahaha. This is something I realized I should’ve done as I arrived at SM Makati 5:30 in the afternoon but I took time taking photos & talking to people. Other brands housed at the SM Store are also on sale but only some are at 50% off. 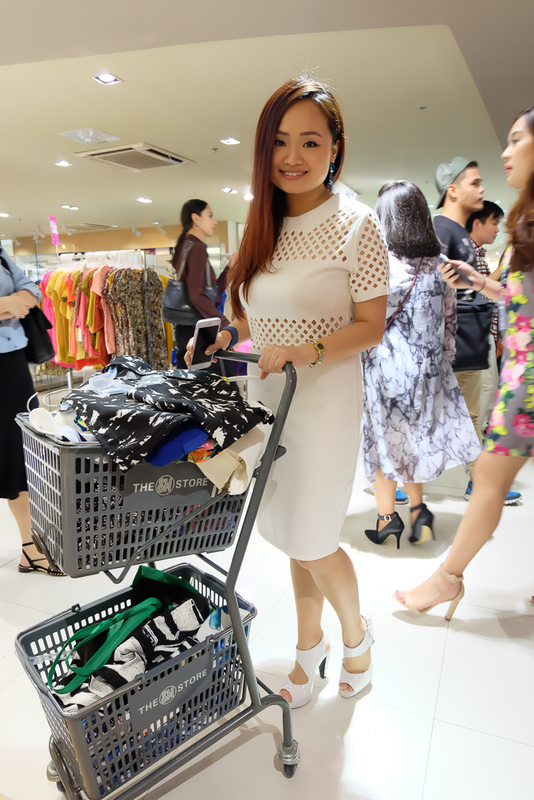 I spotted few of my blogger friends rummaging through racks and racks of clothes. Quick tip: Wear super comfortable heels and if possible, wear a slip on dress so if you plan on fitting the clothes, it’ll be easier. All these clothes at 50% OFF! Kakaloka! 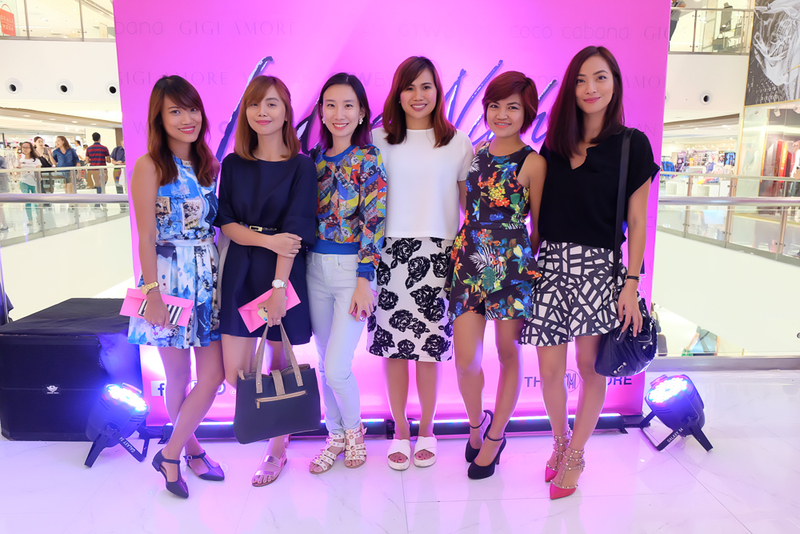 Vina, Yuki, Earth, Rhea & I. Photo op in between shopping. Wiiiiild! We paused to take a we-fie! Heehee. 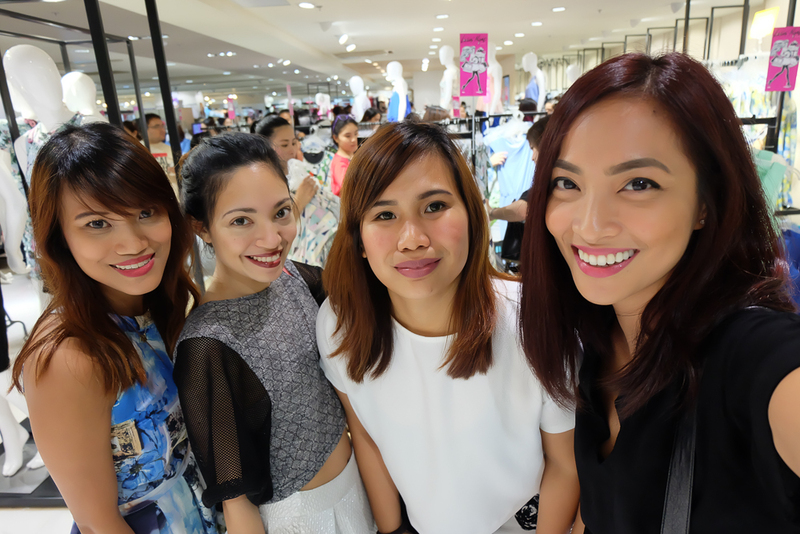 Galit-galit muna all the girls because there’s only one thing to do during a flash sale: SHOP ‘TIL YOU DROP! 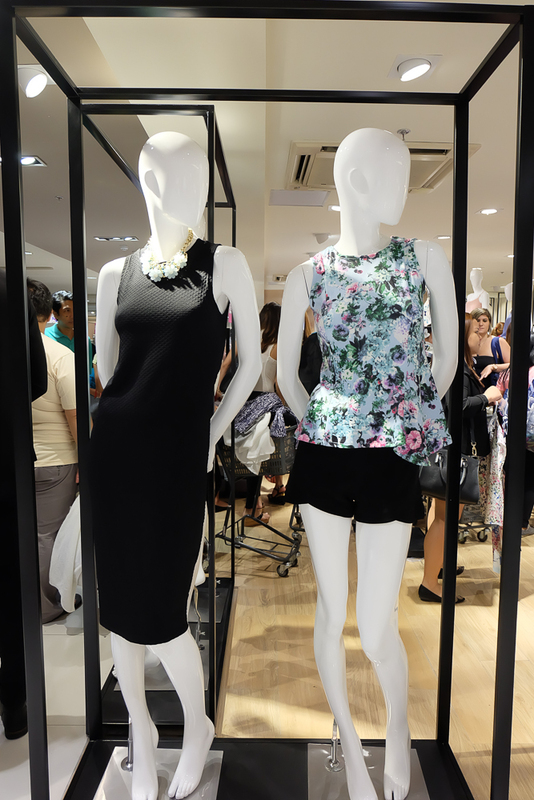 After two hours of shopping, I was able to get 9 pieces of clothing for only P2,700. Panalo lang di ba?! Average price is at P300/piece. 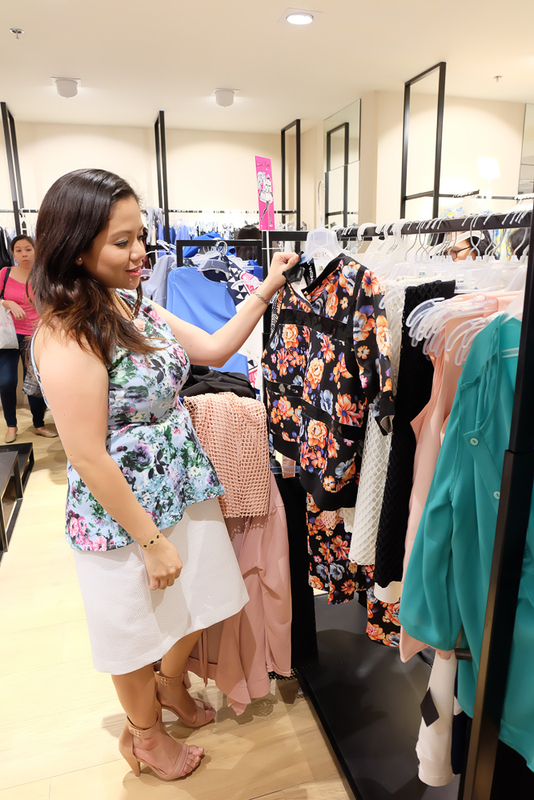 I’ll post an OOTD on what I got from the sale but just to give you an idea, the one I’m wearing at the Happy Skin Beauty In Bloom launch was from SM Woman. 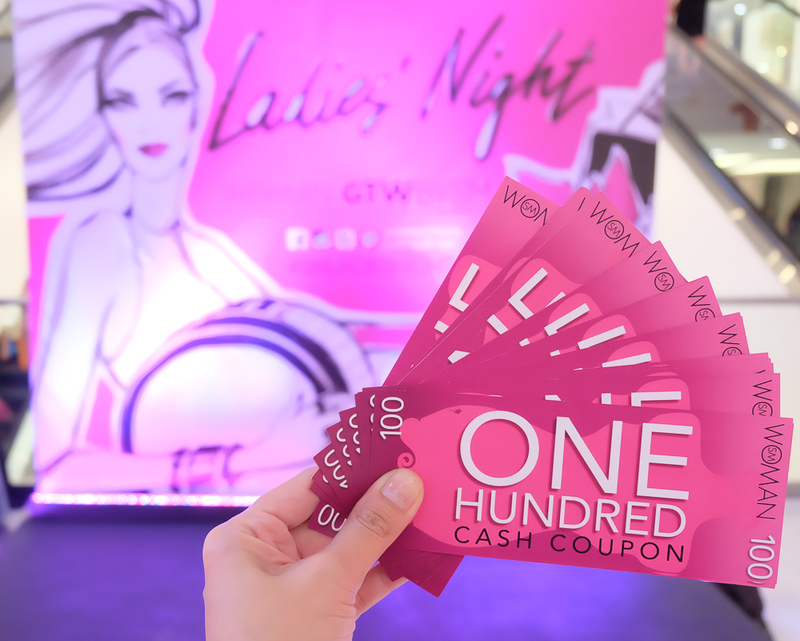 Spend P1,000 on SM Woman/GTW and get P100 gift certificate. Spend P2,500 and get P300 gift certificate. 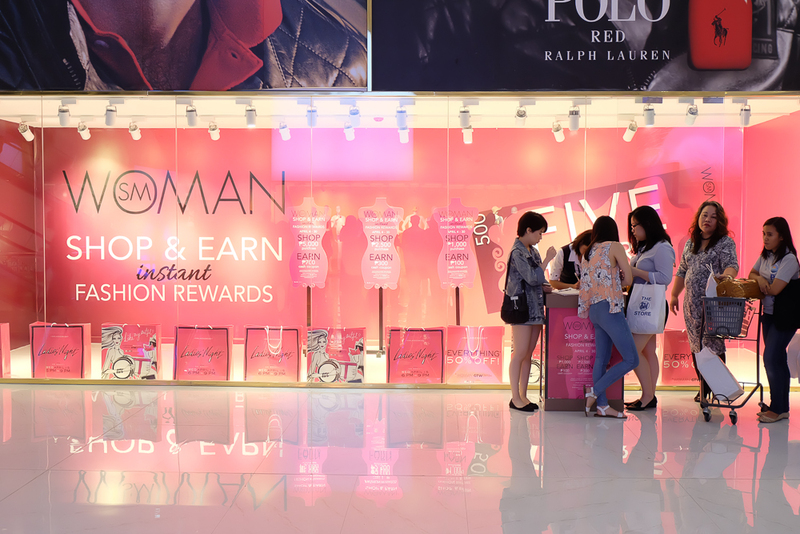 Spend P5,000 then you’ll get P700 worth of gift certificate. The more you shop, the more shopping coupons you get! I wonder where’s the next SM Ladies Night gonna be? I’m guessing SM Megamall, SM North EDSA and SM Aura? 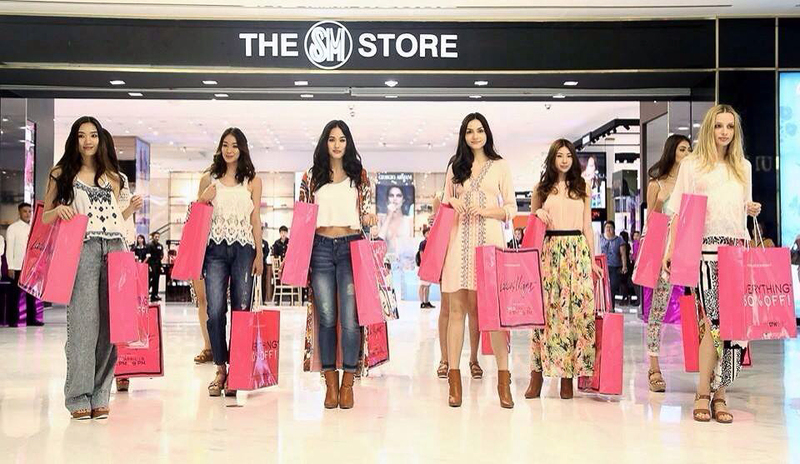 Shucks, if it’s in Megamall tonight, I shall go there & shop my way! 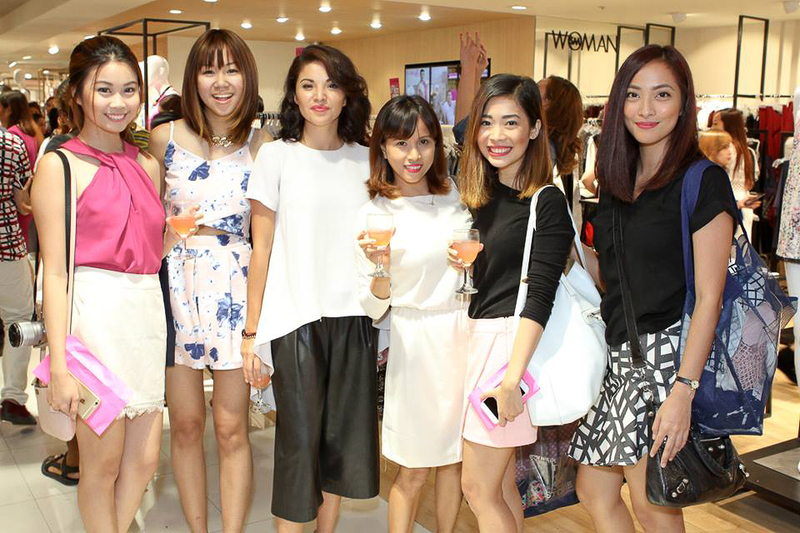 To know where the next SM Ladies Night is gonna be, follow SM Woman on their social media channels. Have fun shopping! wow! shopping, shopping, shopping! ang saya. You’re right, dapat talaga maghanap at mag fit na ng mga clothes before sale hours, bago pa magkagulo nauna ka na. Exciting siguro at ‘di malaman kung alin ang uunahin. By the way, yun red shoes mo ms. jackie, ang taray! one of my dream shoes! Hi Ms. Jackie! It sounds really exciting and your tips are really helpful! However, I’m very much disappointed that the SM Woman is not even informing the commoners on when will be the next SM Ladies Night. Like yesterday, I was asking them in their FB account and patiently browsing their instagram every now and then but no response. How can we prepare and participate in this opportunity if we were not informed. 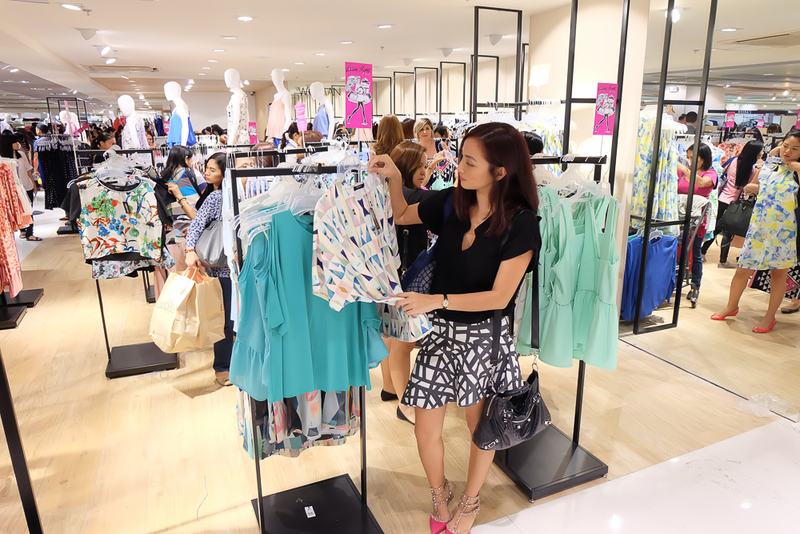 Sayang naman because most mommies cannot afford buying clothes at their original price because they are prioritizing the needs of their family. This is a perfect chance sana para makatipid and to treat the hardworking mommies also. I hope you don’t mind. Oh, I see. I thought kasi it would be on four consecutive Wednesdays. Anyway, thanks so much Ms. Jackie for responding to my concern. Will just wait for the updates. More power!